Following up from this July 26th entry – Canada: Aziga's treatment in prison is 'cruel and unusual' argue lawyers – Judge Thomas Lofchik has dismissed the case brought by Johnson Aziga's lawyers, David Bagambiire and Selwyn Pieters, that Mr Aziga's treatment in prison, while awaiting his first-degree murder trial, has been cruel and unusual and has breached the Canadian Charter of Rights and Freedoms. The complete nine-page judgment can found here, but I'd like to quote from paragraph 41. I find that given his HIV positive status, the Applicant's decision to intentionally and purposely bite another inmate in at least two altercations gave rise to a medical risk of HIV transmission... During his medical assessment the Applicant failed to provide an assurance that he would not bite again. 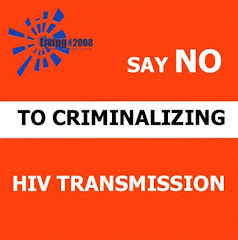 Instead he confirmed that he was a biting risk and thereby posed a risk of HIV transmission... In Dr. Grewal's professional opinion the clinical decision to maintain the Applicant's medical isolation was a reasonable and necessary precaution to protect others and I agree with this assessment. This is the same Judge Lofchik who also rejected the following question for the trial's jury selection process: Do you have an inflated sense of the risks of HIV transmission and a tendency toward HIV-phobia or panic (as opposed to a healthy fear of possible infection, based on a realistic assessment of risks associated with various acts, that can be part of prompting sensible, informed precautions)? I suggest Messrs. Bagambiire and Pieters start planning their appeal.